We know you're probably out fishing this weekend, but if you're not, you'll be able to save big. We're starting a series of "Week-ending Deals" where you can get HUGE savings on a variety of products. The catch is that they start on Friday and end on Saturday at midnight. These deals are available only with a coupon, only online, and only for our loyal newsletter subscribers. This week, we're featuring Cheeky Reels. 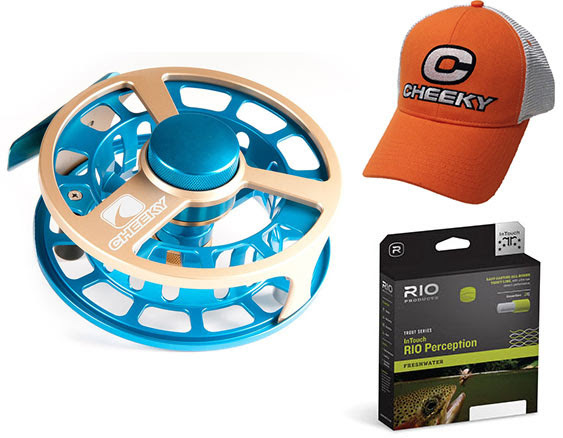 If you buy ANY Cheeky Reel, we'll give you a FREE fly line of your choice (up to $90) and a cool looking Cheeky Pro Cap. Choose from the value-priced Boost through the award-winning Mojo 425. Our shootouts and guides around the world agree that Cheeky reels not only look cool, but are some of the best values on the market. Remember, you need to add your HAT and Line to the cart to get the deal!